Like most developing nations, India is burning a lot of coal to catch ground. As always the case with compromises such as these, economic growth comes at the expense of the environment. 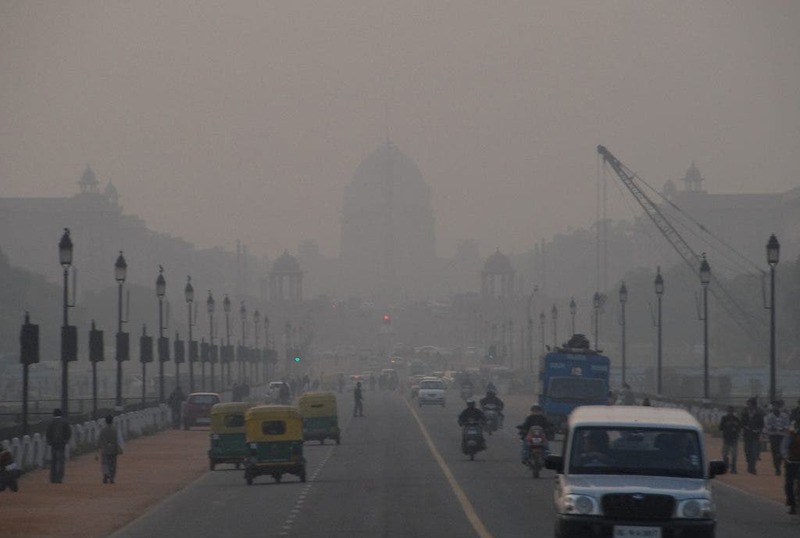 Pollution in Delhi, the capital, has reached levels comparable to Beijing, which is when you know you’ve hit a new low. A new study found high concentrations of surface ozone killed enough crops to feed 94 million people who are living below the poverty line. The total damage during 2005, the year the researchers gathered and analyzed data for their work, is worth over $1 billion. Surface ozone is formed when nitrogen oxides, carbon monoxide and volatile organic compounds react with sunlight after the chemicals’ release from vehicles, industry, or burning of wood or other plant or animal matter. You can recognize it easily when it’s in high concentrations – it has an acrid smell like the one you sense when you’re around spark producing machinery. When ozone comes in contact with plants, it attacks them, halting growth and ruining crops. An international team comprised of scientists from India and the US calculated the amount of total crop damage from ozone pollution by comparing emissions estimates from 2005 with data about how much ozone each of the target crops could withstand (wheat, rice, soybean and cotton). The data they gathered was fed into a model which showed during the growth season crops were exposed to ozone levels more than 40 to 50 parts per billion over most of the country. Plants start to exhibit damage when they are exposed to ozone levels that reach 40 parts per billion or above. At the end, the researchers found that India’s economic loss from ozone’s harm to crops amounted to $1.29 billion in 2005, most of the loss being attributed to rice and wheat damage. 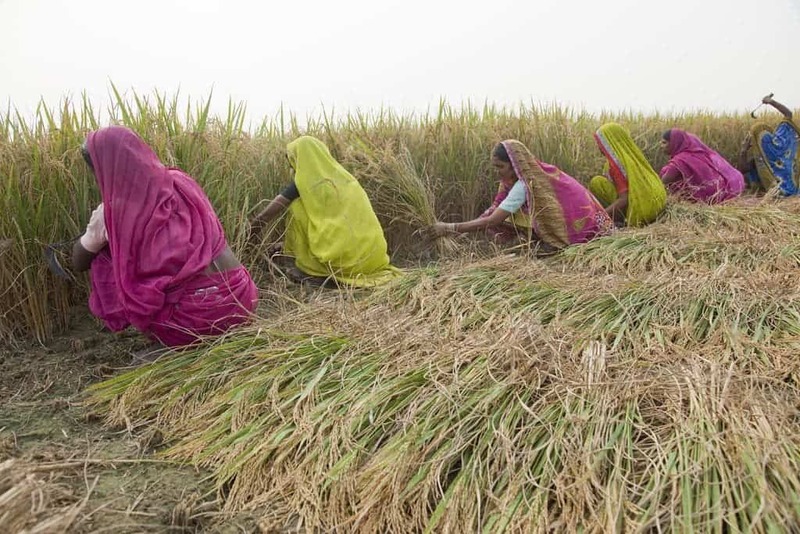 Indian farmers harvest rice, one of India’s major crops. A new study shows that, in 2005, ozone pollution damaged enough crops to feed 94 million people living in poverty in India. In total, 6 million metric tons (6.7 million U.S. tons) of India’s wheat, rice, soybean and cotton crops were destroyed in 2005 as a result of ozone surface pollution or enough to feed 94 million people below the line of poverty. There are about 270 million Indians that live in poverty, according to the study which was published in the journal Geophysical Research Letters, a journal of the American Geophysical Union. Win some, lose some – how will policymakers in India decide? The researchers say their findings might help policymakers craft new ozone pollution standards. This idea becomes increasingly important when you factor in that the Indian government wants to introduce a new law that subsidizes grain for two-thirds of the country’s residents. The study, the first of its kind to quantify the effects of ozone pollution on crops in India, suggests that 9.2 percent of the new law’s subsidized cereal requirement are lost. Reducing ozone generation, especially around the big cities, is no easy task. The number of vehicles on the road in India has nearly tripled in the past decade, with 130 million vehicles on the road in 2013 compared to 50 million in 2003, according to the International Council on Clean Transportation. Also, there are many coal plants and factories being built. To make things worse, there aren’t any long term measurements of surface ozone in India. One thing’s for sure, policymakers can not afford to ignore these findings. New bills for clean air that include vehicle emission and tight industry regulation should be carefully drafted.